We love the textures and colors of Fall. The cooler temps are excellent for working out in the yard. 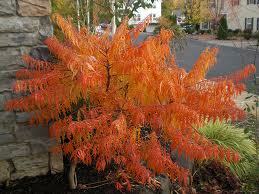 Fall is definitely, with out a doubt the very best time to plant. A plant that is transplanted now will have the most time to get established in it’s new home before the grueling heat of summer hits again. This gives the plant a chance to develop a strong root system that will give it a good fight when the stress of summer is upon us. We have all of our nursery stock discounted, so from a buyer’s perspective, Fall is a good time to plant, too! Come and let us help you add to your landscape this Fall!